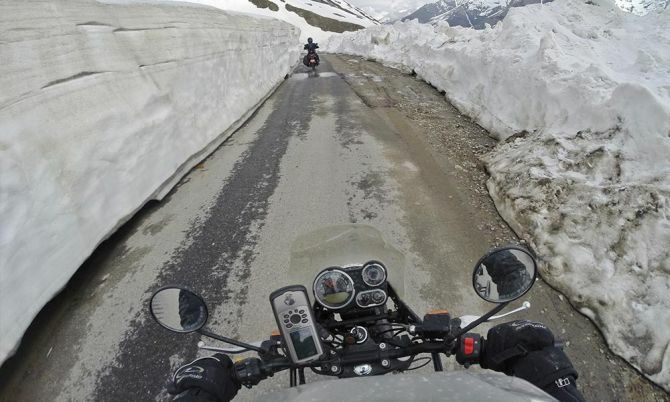 Thus, the experiences of riding in the Himalayas and to build a bike suitable for the region gave birth to the Himalayan. 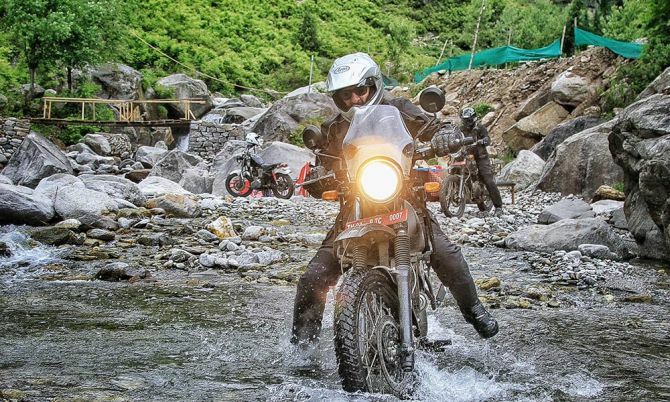 The idea was to develop a motorcycle that’s accessible for an average Indian to ride and can comfortably cross a rocky river after crunching hundreds of highway miles. Also, that can hold its line in high cross winds and carry a pillion and lots of luggage, but light enough to pick it up when it falls. Furthermore, it must have an excellent ground clearance and long suspension travel and should start even if the battery is dead. Well, most importantly, it should be economical to own and fun to ride. 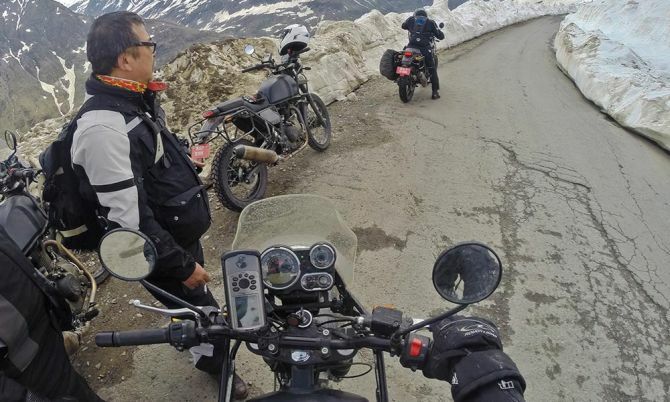 Sharing his experience of riding and designing the Himalayan, Sidhartha has unfolded the whole story at the Royal Enfield website. The bike has been tested by RE’s in-house experts and professional motorcyclists such as CS Santosh, the only Indian to participate and finish the Dakar rally. Well, to add value as an advanced customer and custodian of the Royal Enfield brand, Sidhartha himself have also tested the bike. 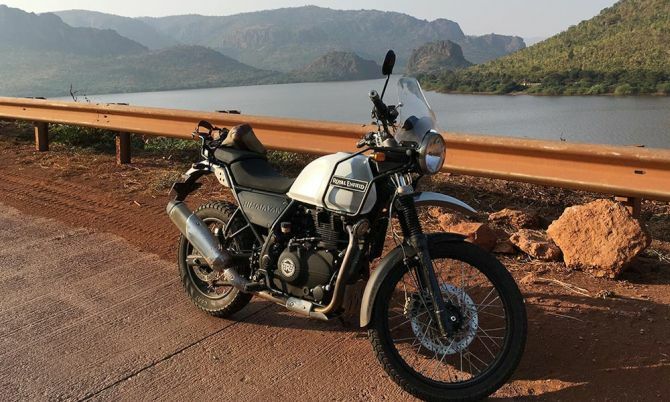 Taking about specifications, the Royal Enfield Himalayan is powered by a 410cc air-cooled engine that delivers nearly 28 PS of power and 32 Nm of torque output. Himalayan has a 21-inch front wheel and optimal seat height combined with ergonomic handlebar and footpegs position make for a comfortable upright riding posture. Equipped with a slim long range petrol tank (15 liters) sculpted with knee recesses, the low maintenance bike can go 10,000 kilometers between oil change. 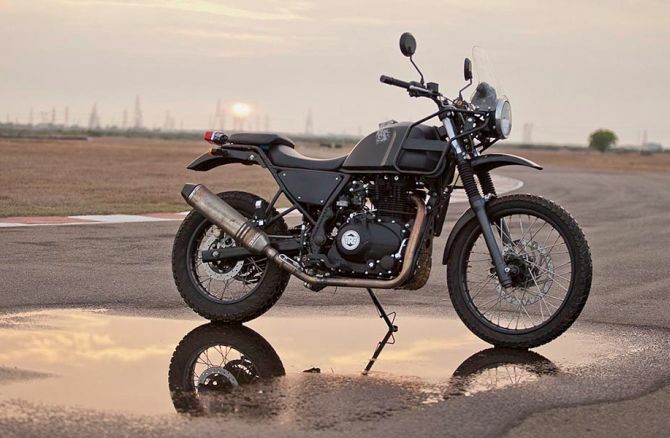 The Royal Enfield Himalayan will be unveiled on February 2 and is expected to come with a price tag of around Rs 1.8 lakhs (around $2700).